Cops: Suspect dead after shooting officer, FBI agents in Mo. UNIVERSITY CITY, Mo. -- A man who fatally shot his mother and wounded a suburban St. Louis police officer and two FBI agents is dead, authorities said Wednesday. University City Police Det. Sgt. 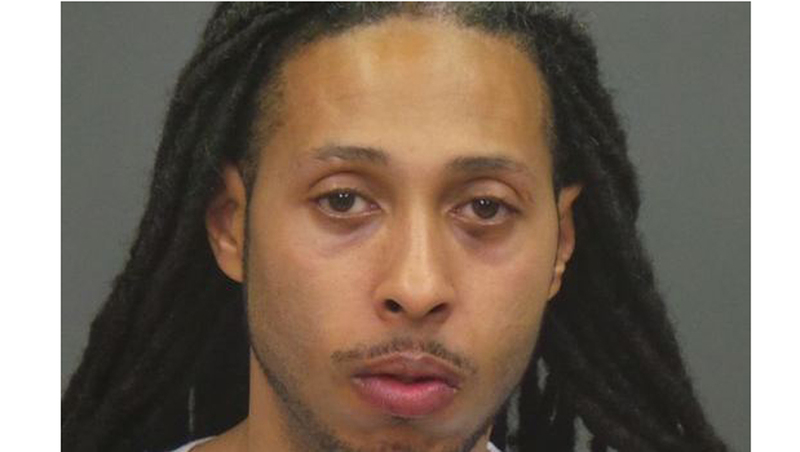 Fredrick Lemons said Major Washington, 33, died early Wednesday after police were called to a home where he was hiding. Lemons declined to say how Washington died. Police say Washington broke into the home of his mother, 55-year-old Donna Washington, Monday night, and killed her. He shot a responding University City police officer in the chest. The officer, Zachary Hoelzer, is hospitalized in serious but stable condition. He is a five-year veteran of the department. Police responding to a burglary call around 10 p.m. discovered the woman with a gunshot wound to the leg, reported CBS affiliate KMOV. She died a short time later at a local hospital. Major Washington then fled the home. Police issued a lookout alert for him, considering him to be armed and dangerous. The FBI told CBS News the incident wasn't directly related to protests over the announcement Monday night that a grand jury decided not to indict a white Ferguson, Missouri police officer for the August shooting death of an unarmed black teen. The gunfire happened some 5 miles outside Ferguson. Detectives then received a tip that Washington might be hiding in a different home near University City, and went there shortly before 3 a.m. Wednesday. Lemons said Washington was barricaded inside alone. FBI agents provided tactical support and two were shot -- one in the leg and one in the shoulder. Their injuries are not life-threatening, FBI spokeswoman Rebecca Wu said. Names of the agents were not released. Lemons said Washington was found dead inside the home. The St. Louis Post-Dispatch reported that Washington was released from prison in March for a 2011 case that began when he threatened a relative at his mother's home. He pointed a gun at arriving officers and police shot him during that incident. Details of his injuries from that shooting were not available. Washington pleaded guilty to two counts each of second-degree assault on a law-enforcement officer and armed criminal action and was sentenced to seven years in prison. Washington had convictions in 2003 for drug possession, escape from custody, assault a law-enforcement officer and resisting arrest, the Post-Dispatch reported.